It seems like such a bold statement, does it not? Conjuring up thoughts from the old days of the console wars of Mario Vs. Sonic; and not at an Olympic event, but going toe to toe to push the sales and technical specs of their respective console. That is where we get to the meat of my argument. Consoles are pretty diverse in terms of hardware and programming design. They always have been and will be for the foreseeable future. The 32/64-bit era, with the Nintendo-64, Sony PlayStation, and Sega Saturn, marked a period of huge differences in the systems. The PS1 and Saturn moved completely to disk technology while the N64 stayed with cartridge technology. However, just because two systems moved to CD technology does not mean they were the same. 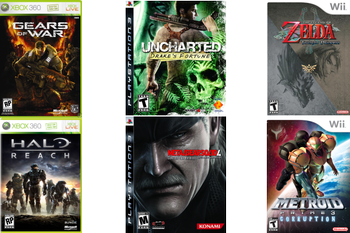 While both consoles shared certain titles, the differences were quite astounding. Games like Tomb Raider, Resident Evil, and Duke Nukem 3D had differences in textures, lighting, music, polygon count; you name it, it was probably different. And the reason why was optimization. Fans of any console will argue which version of a port is better until they are blue in the face. The important concept is not which version is better but understanding how exclusivity for optimization can create phenomenal titles for individual consoles. Think about it like this: Nintendo knows their hardware and programming inside and out so, naturally, their titles will showcase what their system can do or cover up technological short comings with a visually appealing mask. With that information, they can make a quality title fit for their hardware, rather than program a game that is mostly compatible for one system or another only to run into various software or hardware problems for another console. Just think about the problems with the PS3 version of the Skyrim DLC not being compatible with its hardware configuration. During the 16 and 32 bit eras, consoles lived or died by the exclusive titles they had available, since they were the draw for the customers’ hard earned cash. Halo on the original Xbox DEFINED that system and gave it something to stand out; something the system needed with its price point. At the same time, the Xbox had competition from the Gamecube with its strong support of first party exclusives and the PS2 which had snagged up exclusive support from companies like Square Enix (the Final Fantasy series) and Team Ico (Ico and Shadow of the Colossus). I am not saying cross-platform games are bad, but too many cause problems like sub-par programming to accommodate the lowest end console, not being able to take advantage of the more powerful consoles, or creating completely different styles for games. Take for example the PS3/Xbox 360 versions of Ghostbusters: The Video Game vs. the Wii/PS2 versions – the PS3/360 versions were realistic, the Wii and PS2 versions were very cartoon like. If many of the games are available on all consoles, rather than having a strong library of console exclusives, it becomes harder to justify buying a specific console over another. A consumer is less likely to buy a competing console without a solid list of exclusive titles to justify the cost, so buying multiple systems is often out of the questions. I myself have had to make that call with the most recent console generation. I picked up a Wii simply for the console exclusives, as Nintendo had solid first party support. But they were lacking in a lot of the AAA titles, so I had to choose between a 360 and a PS3. While some of their titles were exclusive, most were cross platform (see: Fallout, Darksiders, Castlevania: Lords of Shadow). Since I had the Wii for my choice of exclusives, rather than basing my decision on God of War vs. Halo, it became an argument of which console was cheaper. I bought a 360. I would like a PS3, but the few exclusives it has combined with its price point made it prohibitive at the time. In the end, the gaming industry needs competition to survive as competition breeds innovation. If we want to encourage that competition, we should do it by making at least some games that are designed to work for a individual console’s specs. Not only would we be getting the best quality games for the system they were designed for, but we would be working to build a better game industry by ensuring that each company has to make the best product they can to compete. 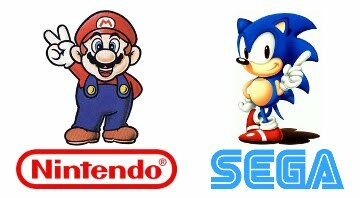 Like the good old fashioned one-up-manship of the Sega and Nintendo rivalry of the 16 bit era proved, competition is the way forward.